Post written by Tae Hoon Lee, MD, PhD, from the Department of Internal Medicine, SoonChunHyang University School of Medicine, Cheonan, Korea. EUS-guided fine-needle aspiration/biopsy (EUS-FNA/B) has a high diagnostic accuracy for pancreatic tumors. 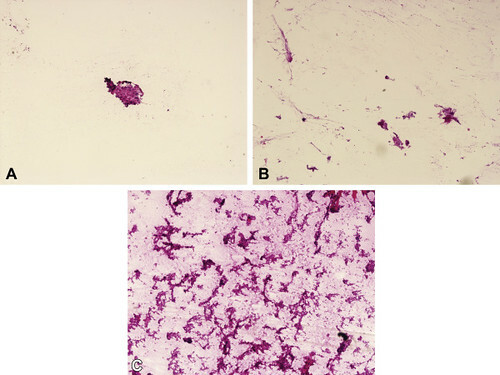 However, the ability of various FNA/B techniques to obtain an adequate mass of cells or tissue has rarely been investigated, especially in the absence of rapid on-site cytologic evaluation (ROSE). If ROSE is not available, use of a standard technical tip for acquisition of adequate sample may be important for confirmatory diagnosis. Usually, the availability of on-site cytopathologists is limited by cost and staffing issues in many hospitals. We showed comparative results obtained by EUS-FNB using the stylet slow-pull-back technique, conventional negative-suction technique, and non-suction technique in terms of diagnostic yield and specimen adequacy by degree of cellularity and blood contamination in the absence of ROSE. 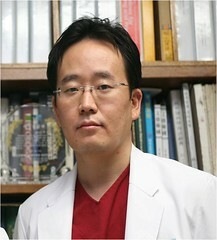 Therefore, our results may provide an adequate EUS-FNA/B method for diagnosis of pancreas tumor in the absence of ROSE. In our study, the slow-pull-back technique obtained samples with greater cellularity and less blood contamination compared with the other 2 techniques. However, the core-tissue acquisition rate did not differ among the 3 techniques. A blood contamination was more prevalent in the negative suction group. Compared with the non-suction technique, the negative suction technique did not increase the rate of core-tissue acquisition. Pooling the results from the 3 techniques increased the rate of diagnosis. Figure 1. Cytologic specimens for cellularity. A, Grade 1, fair, number of cell nest <10; B, grade 2, good, number of cell nest 10-20; C, grade 3, excellent cellularity, number of cell nest >20 (H&E, orig. mag. ×40). Therefore, in the absence of ROSE, the stylet slow-pull-back technique might enable acquisition of tissue and assessment of cellularity for the diagnosis of pancreatic tumors suspected to be malignant. Further large-scale studies using different needles are needed to verify our results.